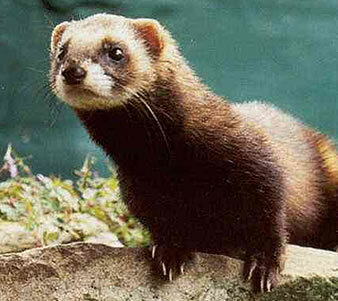 This animal, as you can see, is called a polecat. 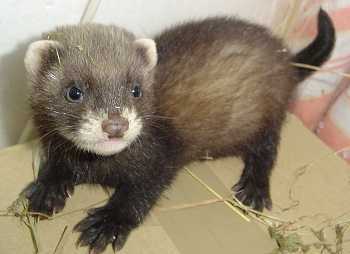 Polecats are easy to identify because they have characteristic markings on their faces. However, they are hard to spot because they only come out during the day when they are struggling to find food, and are normally active at dusk or night. 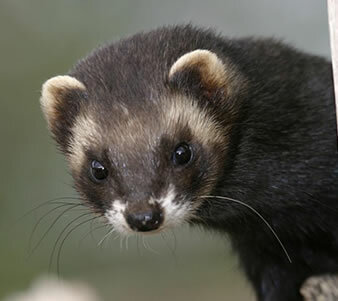 Polecats are carnivores, which means they eat meat.they hunt rabbits, rodents, frogs, toads and birds,but will eat insects too. These mammals are found in England and Wales.